The Trust Across America-Trust Around the World (TAA-TAW) awards program celebrates professionals who are transforming the way organizations do business. David Cooperrider, PhD, Fairmount Santrol - David L. Cooperrider Professor of Appreciative Inquiry and professor of organizational behavior, was recently named to Trust Across America-Trust Around the World (TAA-TAW)'s list of 2016 Top Thought Leaders. The awards program is in its sixth year of celebrating professionals who are transforming the way organizations do business. Cooperrider joins other well-known CEOs, authors and leadership advisors including Steven Covey (author of The 7 Habits) and Bill George (former CEO of Medtronics and author of True North) as well as other teachers and researchers committed to building organizational trust and trustworthiness. "The release of this year's list coincides with the beginning of the fourth year of the formation of our Trust Alliance, a growing group of global professionals committed to learning about and advancing the cause of organizational trust," says Barbara Kimmel, CEO and co-founder of TAA-TAW. "We are proud to count David Cooperrider as one of our influential thought leaders at the Weatherhead School of Management," says Robert Widing, Albert J. Weatherhead, III Professor of Management and Dean of the Weatherhead School of Management. "We congratulate David on this most recent public recognition of how fully David has embraced the call to 'think beyond the possible' to achieve new heights in positive organization development." 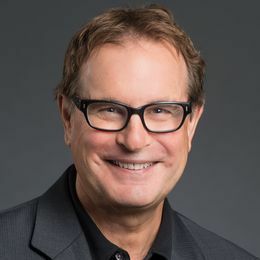 Learn more about Appreciative Inquiry and the Fowler Center for Business as an Agent of World Benefit, both developed and co-founded by David Cooperrider at the Weatherhead School of Management. Weatherhead is committed to developing transformational ideas and outstanding leaders for the advancement of business and society. Thinking about business school? Think Weatherhead School of Management. Think beyond the possible.